Ever wanted to become a Colombian billionaire? No? Then how about an international millionaire? Whichever you prefer, Colombia Baloto can make it happen. With jackpots that start at COP 4 billion (€1.14 million) and very decent odds, this rollover lottery offers many reasons to get excited. Read on, as we'll take a look at all of these reasons and more below. The Gaming Commission of Colombia approved and licensed Baloto way back in January 2001, as it felt that the country’s citizens needed something that would be not only exciting but could also greatly enrich their lives. In addition, it was an excellent way for the state to earn funds that it could then apply to a wide range of health and social welfare programs. For the first 16 years of Baloto’s life, the game’s format was almost as simple as it comes: players chose 6 numbers from a range of 1 to 45. Though there were only 4 prize tiers in those days, the odds of winning the jackpot were very good at 1 in 8,145,060. However, in April 2017 it was decided to revamp things, and this is when the format was changed to the double-matrix format Baloto has today. While this format has odds that are about twice as tough, it also offers 5 additional prize tiers. Colombia Baloto is a double-matrix lottery with no rollover or jackpot cap that is quite easy to understand: players must choose 5 main numbers from a range of 1 to 43 and 1 bonus number (called a “Super Ballot” or “Super Ball”) from a range of 1 to 16. Those who match all six numbers win the jackpot prize. Players can opt to choose their own numbers, known as “Natural Selection”, or they can use the “Quick Pick” option to have the terminal generate a set of random numbers for them. Players can also mark a set of favourite numbers as “My Lucky Numbers” and use them to play in multiple draws instead of just one. One great aspect of Baloto is that alongside each primary draw is a supplementary draw called the Revancha (which means “rematch”). For a small additional fee, you can play the same set of numbers you played in the primary draw and get a shot at winning the Revancha jackpot, which starts at COP $1 billion (€286,056). Since each Revancha draw also has secondary prizes, it could be said that the Baloto essentially has four draws per week. Therefore, just because you didn’t win something big in the first draw doesn’t mean you won’t win it here. Baloto has a total of 9 prize tiers, ranging from incredible to tiny—but hey, every win counts, right? Your chances of winning the jackpot are 1 in 15,401,568, which are pretty good considering the huge windfalls that this game offers from time to time. While the odds used to be much better before the April 2017 changes were implemented, they are still very respectable for a lottery of this size. Let’s see how they stack up against the odds of other great international lotteries with comparable jackpots: Viking Lotto (1 in 98,172,096), New Zealand Powerball (1 in 38,383,800), Australia Saturday Lotto (1 in 8,145,060), and Canada Lotto 6/49 (1 in 13,983,816). As you can see, the likelihood of winning Colombia Baloto is quite decent overall. 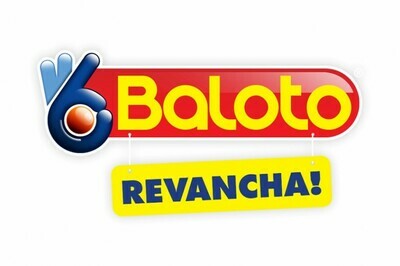 The Baloto draws take place live on national television twice every week, on Wednesday and Friday nights at 11 pm COT, in the capital city of Bogota. The ball machines stay in a vault that has round-the-clock video surveillance, and any time that it is open at least one delegate is present. This is done to demonstrate complete transparency in terms of how the lottery operates. 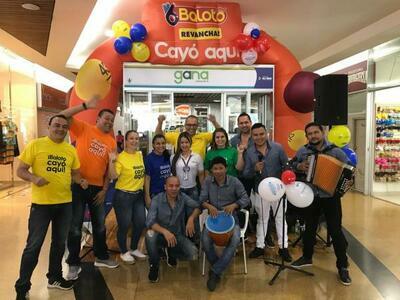 Colombia Baloto does not offer any annuity option, so regardless of which the prize tier that you win—including the jackpot—you’ll receive your winnings in a single lump sum payment. 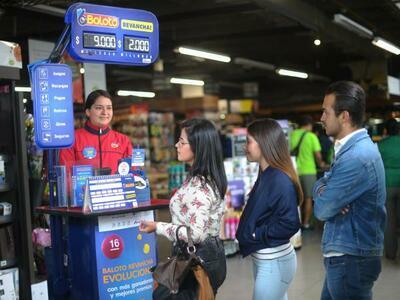 The government of Colombia imposes a tax on lottery winners (“impuesto a ganadores de loterias” in Spanish, in case you’re curious) that is 17% for larger prizes. In the case of Baloto, the “larger” prizes including the first, second, and third prize tiers. All of the lower ones are exempt from taxes at the source. If you play the game online using one of the methods mentioned below, then you may be taxed again once you import your winnings back into your home country—depending on whether or not your country taxes lottery prizes. If you’re not sure, then this is something that’s definitely worth looking into. Although only a few of the top online lottery sites offer players the chance to play Baloto online, those that do make the process extremely simple and painless. In addition to letting you play Baloto and many other lotteries from around the world using your phone or computer regardless of your geographic location, these types of sites often offer great welcome promos, syndicate/group play, subscription services, scanned copies of the tickets they purchase on your behalf, and much more. Plus, you don’t have to fly all the way to Colombia just to buy a lottery ticket! Colombia Baloto – Is It Worth Playing? In addition to good odds, Baloto often has excellent jackpots, and its Revancha draws offer a lot of value for a small additional fee. While the 17% tax hit on winnings in the top prize tiers isn’t exactly favourable, the other great elements of this bi-weekly lottery, including the fact that it features 9 prize tiers and cheap entry tickets, more than makes up for it. As a result, Baloto is a game that we believe is worth trying your luck on once at the very least. Very happy that I can be play this loto game from online by phone, it very good game and surprise good odds and prize jack!! Am hope we can win to change the life.